We’re Fathers First. As Fathers and Father figures, it’s too easy to get lost in our other roles and forget what our first job is. Yet it’s the most important job we’ll ever do. Because what we do, or don’t do as Dads, has an enormous impact on the happiness and health of the kids we love. What is a Fathering Project Dads Group? We're building communities of Dads with our growing network of Dads Groups. Usually formed alongside schools, workplaces and community groups, Dads Groups aim to be fun, interactive and supportive. They allow Dads and father-figures to gather, share, learn and laugh- with each other and their kids. How can The Fathering Project help you? Become a member today and join our growing community of dads, father figures and supporters. Get weekly Fathering tips, access resources and connect with Dads Groups. Established for children across Australia, The Fathering Project aims to improve child development outcomes by engaging fathers. Because we know an effective father-figure has a profound impact on his children. 1. Encourage fathers to recognise how important they are in a child's life. 2. Give regular tips, helping fathers to positively engage with their children. 3. Inspire fathers to become proactive parents. 4. Develop programs and initiatives to reach and inspire more fathers. 5. Utilise research to develop tips and update our programs so we can keep encouraging positive change in Fathers and families. 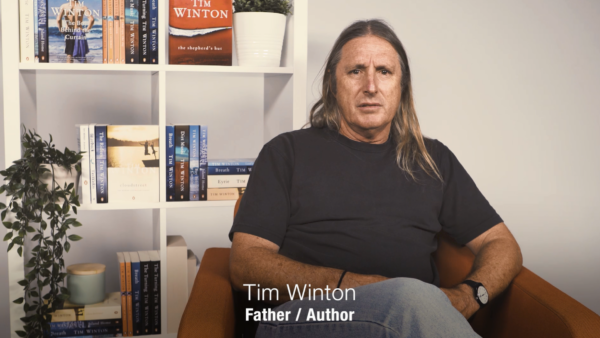 Fathering 1st eBooks are a winning gift for dads – but kids will be the real winners. All proceeds go to The Fathering Project and continue to support Fathers and Father figures to be more effective and engaged with their kids. Click here and to become a member and join our growing community of dads and Father figures. Receive weekly inspiration and tips, connect with Dads Groups and browse our range of Fathering content and resources in the Members Access Area. What we do or don't do as Dads, has an enormous impact on the happiness and health of the kids we love. We're here to raise-up the role of Fathering and inspire men to be the best Dads they can be. We're building communities of Dads through the formation of Dads Groups. As Fathers and Father figures, it's too easy to get lost in our other roles and forget what our first job is. Yet it's the most important job we'll ever do. Because what we do, or don't do as Dads, has an enormous impact on the happiness and health of the kids we love. The Dads Groups are formed through schools, workplaces and community groups and aim to be fun, interactive and supportive. They provide a community of like-minded Dads to discuss and address the importance of being an involved and effective Father or Father figure to create better outcomes for their kids. The Fathering Project organises professional networking, fundraising and general events on a regular basis. For more upcoming events and relevant details, please visit our Events Page. The work of the Fathering Project is supported by the generosity of our community - people like you. Every donation helps us to continue building communities of men, inspiring and equipping them to be positively engaged fathers and father figures, and improving outcomes for kids in areas including mental health, family violence and substance abuse.